It may have been just a light rainstorm in which I captured photos for Jennifer Nichole Wells’ One Word Photo Challenge this week, but nevertheless, I captured the beauty and essence of rain/water. During another one of my photography walks around the park, rain falling on my head, I captured scenes that would describe what a storm is like. 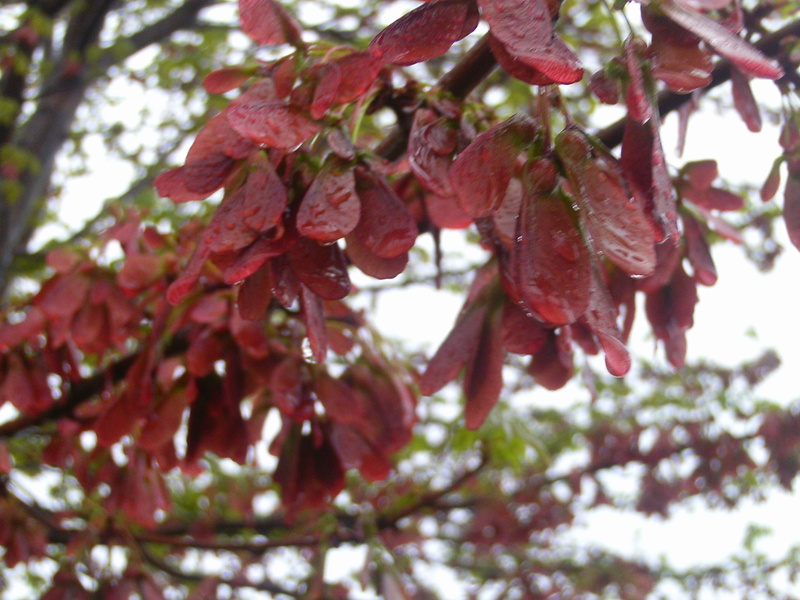 The raindrops on the leaves left after the light rainstorm, a few clinging to the last reds of Spring. 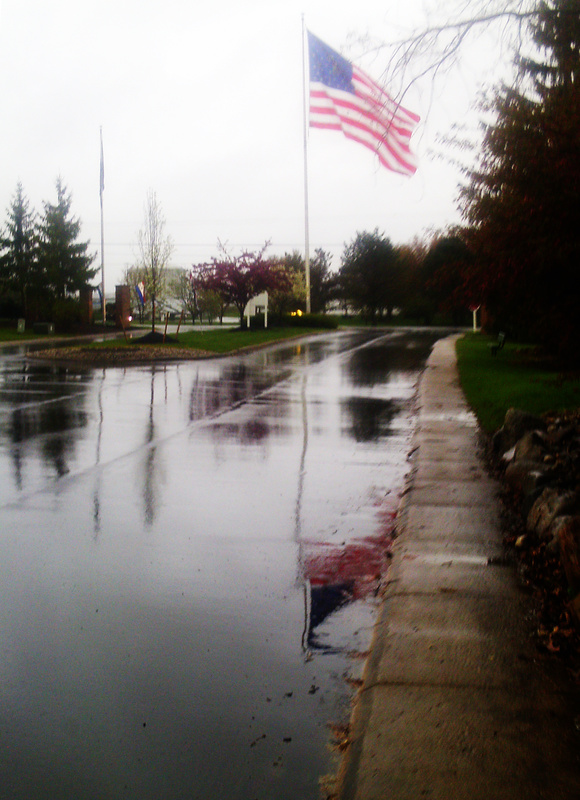 The flag reflecting in the puddle left on the ground. The water rushing into the stormdrain at a ferocious rate. It was quite a dreary moment, my head getting soaked, and the place quite silent except for some cars passing through the puddles on the road, making splashing sounds as I walked by on the sidewalk, hoping to not get drenched in humility. 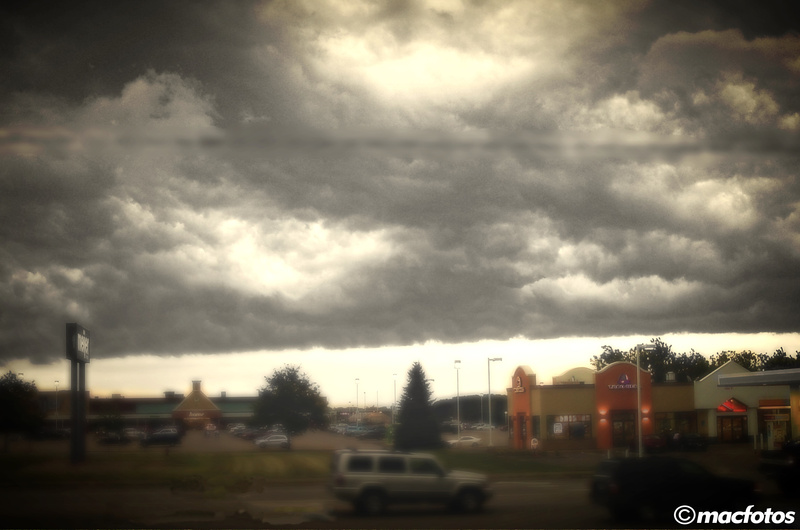 The last picture is of an oncoming storm from last year. The clouds overhead are monstrous and cast a gloomy shadow over the city below. There happens to be a storm occurring right now just outside my window. I wish I could provide a soundbite of it. I love the hints of red in each image. And you did capture the essence of a storm so well. 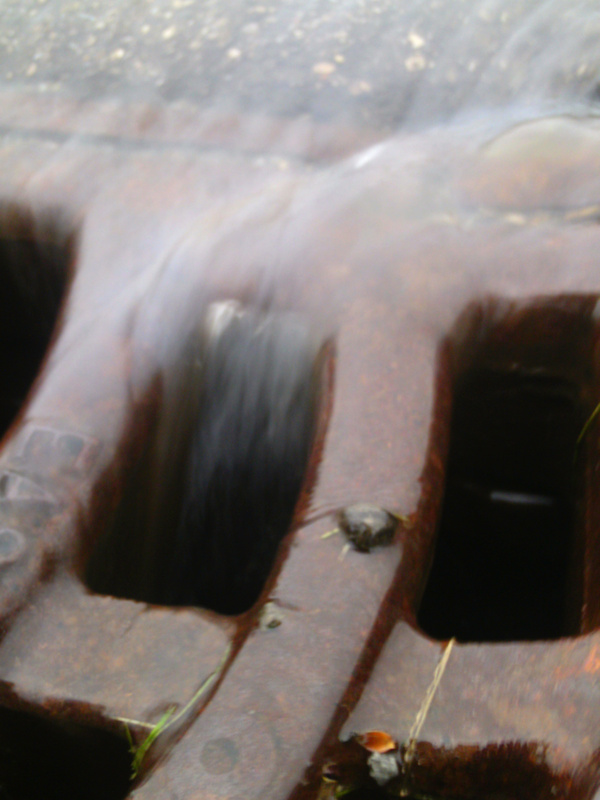 I love the movement of the water in the drain image.